Throughout the history of famous jewelry houses, there have been precious items that you could hardly find in modern everyday life. Extraordinary items, which were made by special orders of rich noblemen, are now considered rare collectibles. We tell about exotic jewelry, namely an exclusive antique golden items created by talented craftsmen of the 19th and 20th centuries. 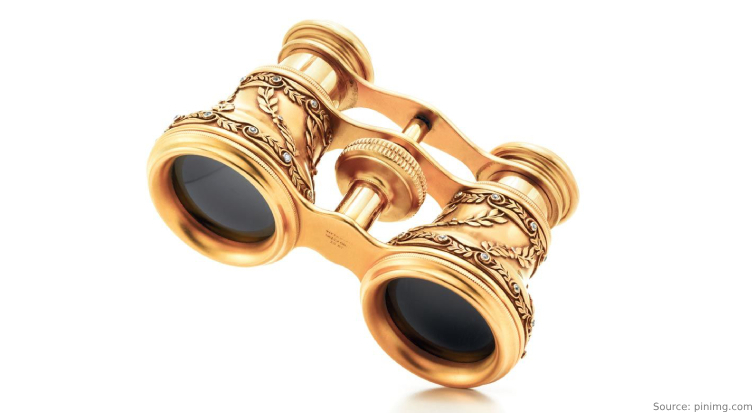 In the Victorian era, gold binoculars were in particular demand among members of the high society and were considered an essential accessory for socialites. Precious jewelry products attracted the attention of public, indicated the status of its owners, symbolizing their wealth. By using such binoculars, women could watch the theatrical performance and check out other gowns. Since 1846, the Tiffany & Co. jewelry house released gold binoculars under its trademark. Binoculars were decorated with precious stones, carvings, enamel, intricate engraving. In 1893, the company added several theater binoculars made of gold and encrusted with diamonds in their vast catalog of exclusive products. 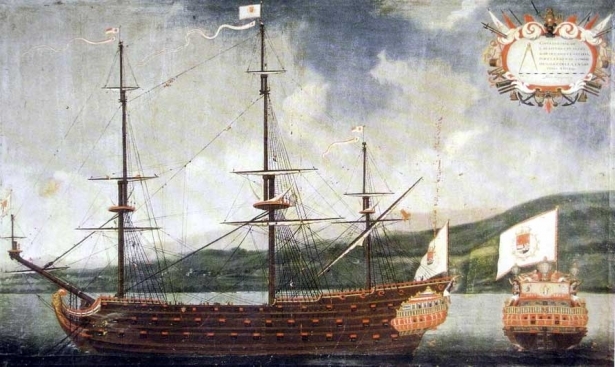 One of the most expensive accessories was purchased by the noble English couple Harris. Subsequently, the Harris family presented binoculars as a gift for the wedding of King of the United Kingdom and the British Dominions George V and Queen Mary. In the photo: Tiffany & Co. golden theater binoculars (aka Galilean binoculars), decorated with diamonds, 1893. In the 19th century, an unusual bracket clock was invented by the French illusionist Jean-Eugène Robert-Houdin, and a few decades later, clockmaker Maurice Couet refined them especially for the Maison Cartier. 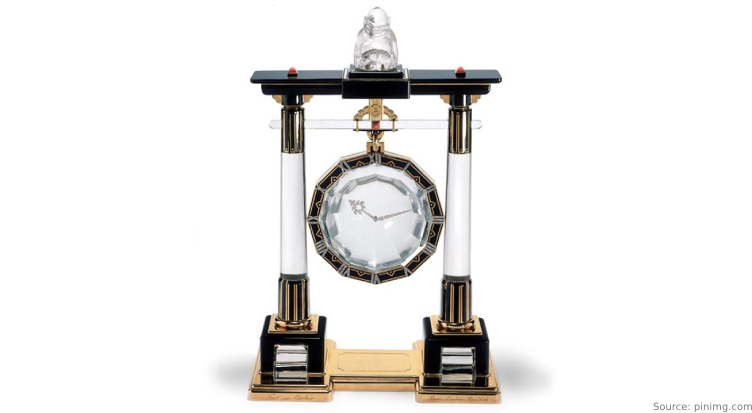 The unique item impresses with its accomplished craftsmanship: the hands of the clock embedded in a crystal case seemed to float in the air. Their linkage with the clockwork mechanical gears was almost imperceptible. Creating a single copy of the "mysterious" clock took several months of hard work. Luxury products were made of expensive materials and decorated with precious stones. The Portique bracket clock is a part of a series of six exclusive “mysterious” clocks, created by Cartier craftsmen in 1923-1925. They were made in the form of a Shinto temple, characterized by unusual design and abundance of golden elements. The Portique mechanism has a power reserve indicator of 8 days and a double-ended winding drum. The clock has been decorated with rose-cut diamonds and red coral cabochons. The clock face is made of rock crystal. The height of the clock – 35 cm, its width – 23 cm. The precious item was purchased by an opera singer of Polish origin Ganna Walska, a well-respected lady, a trendsetter of those years. The Portique bracket clock became a golden standard of her extensive jewelry collection. In the photo: the “mysterious” Portique bracket clock by the Maison Cartier, Paris, 1923. 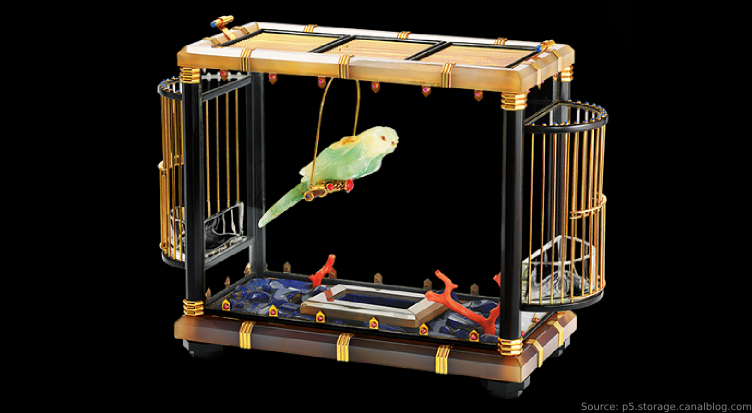 This precious product of the French company Van Cleef & Arpels is often called the "Cage with birds". Two lovebirds (in this case parrots), carved from green beryl with ruby eyes, sit in a golden cage. Yet originally, the item was made for a different purpose. In 1935, Van Cleef & Arpels, a company that produces watches and jewelry, fulfilled the order of a rich Indian Maharaja. His company’s name is kept secret to this day. The Indian prince ordered an exclusive golden cage decorated with precious stones for his beloved pet, a miniature frog. “It was believed that this frog possessed an unusual power: weather forecasting. She climbed up the cage or went downstairs depending on meteorological changes,” said museum curator of Van Cleef & Arpels Catherine Cariou. Later, the frog house was turned into a piece of jewelry, a decorative cage for birds made of precious stones. An extravagant golden object is a part of the Van Cleef & Arpels historical collection, it is periodically exhibited at various places around the world. In the photo: a precious pet cage by Van Cleef & Arpels amazes with its perfection, remaining a distinctive symbol of India from the time of the Maharajas. 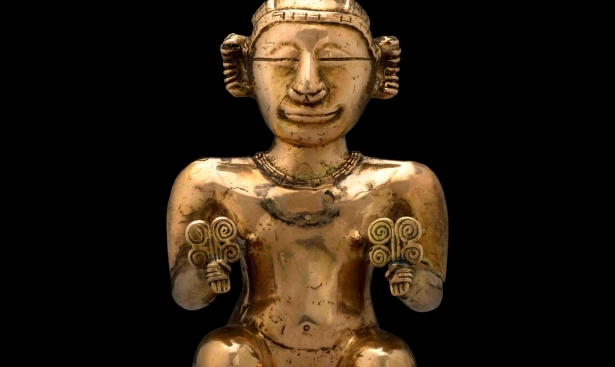 Over two millennia, the interest in gold persists. The precious yellow metal symbolizes prestige and wealth. 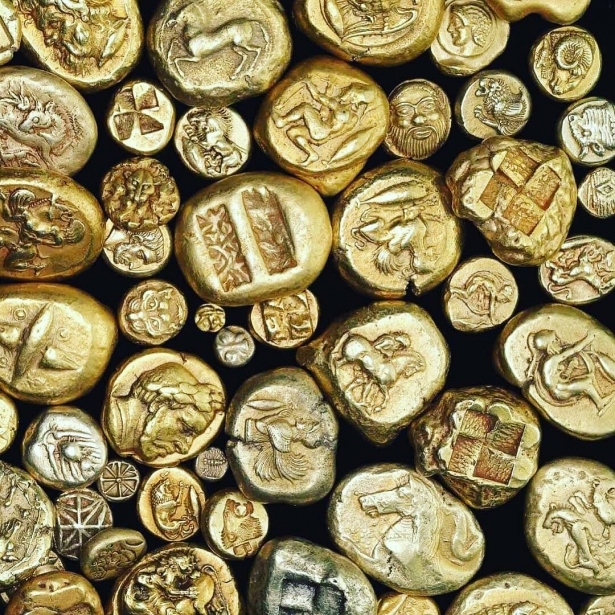 Modern people who care about their future seek to amass gold in order to preserve and accumulate personal savings. Gold is a liquid asset that serves as a foundation of your Financial Security. Protect your savings in times of economic instability!